Archie Mafeje Before #RhodesMustFall there was Archie Mafeje, another trail blazing Black Cantab and foremost social anthropologist who got his Phd at Cambridge in 1966. Archie Mafeje (South African) was born on 30 March 1937 and passed away on 28 March 2007. He is considered one of the most important social anthropologists of the 20th Century, and the first black South African to be offered a professorship by what was then a "whites only" university (UCT). George Mpanga "George the Poet"
George Mpanga, better known by his stage name George the Poet, was born in London in 1991. He is a spoken-word artist and rapper, whose interest in social and political issues is reflected in his work. Born of Ugandan descent, he began performing rap when he was fifteen-years-old. He was educated at the north London grammar school, Queen Elizabeth’s School. From there, he proceeded to King’s College, Cambridge, which he joined in 2010 to read Politics, Psychology and Sociology. It was during his time at Cambridge that he realised he could use rap music to communicate with his audience, saying, "I think rappers are primarily expected to make money for the industry and provide party soundtracks, but obviously there are exceptions and grey areas. The poet’s 'role' is usually to provide thoughtful social commentary." In his first year at Cambridge, while serving as chair on KCSU (the King’s College Student Union), he gained a modest following by uploading webcam performances to YouTube and performing in gigs at universities across the country. Around the same time, he took part in a social enterprise competition run jointly by Barclays and Channel 4 called The Stake, which asked entrants how they would spend £100,000. He used the £16,000 grant from this competition to fund The Jubilee Line, a series of secondary school poetry workshops for children from disadvantaged communities in London. His innovative style of musical poetry helped me attract the attention of the music world. Shortly after graduating, he embarked on a musical career, whose first milestone was the 2014 release of his debut, The Chicken and the Egg EP. Received with widespread critical acclaim, the EP (extended play) won George a number of nominations including the Brits Critics’ Choice Award, MTV ‘Brand New’ Award and the BBC Sound of 2015 Shortlist, coming fifth in the latter. Vice magazine praised the EP, writing that it “showcases perhaps the tightest lyricism of the year to date”. 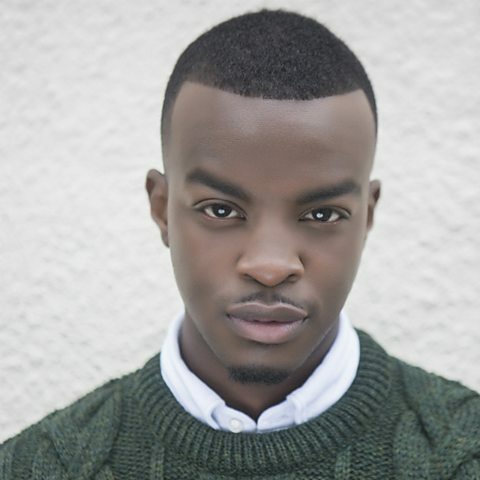 In 2012, he was selected as the face of their Hackney Weekend, in June of that year, and in the same period, Sky Sports F1 commissioned Mpanga to write poems for their coverage of the 2012 Formula One season and the 2013 Monaco Grand Prix. Born Sadie Smith in London in 1975, the celebrated novelist and educator is considered one of the most influential writers in British Culture (Time Magazine, 2015; BBC, 2016; Granta, 2015). Her mother is Jamaican and her father is English. Smith attended Malorees Junior School and Hampstead Comprehensive School (both local state schools) before studying English Literature at King's College, Cambridge (1997). While studying, she earned money as a jazz singer and had wanted to become a journalist. Smith's career as a writer began early on and she published a number of short stories during her time in Cambridge in a collection of new student writing called The Mays Anthology. Attracting the attention of publishers, she was offered a contract for her first novel before graduating. Her writing was impressive enough that publishers bid for the rights on the basis of a draft manuscript. That novel, White Teeth (described as a "vibrant portrait of contemporary multicultural London, told through the story of three ethnically diverse families" by the British Council) went on to win numerous notable awards including Guardian First Book Award, the Whitbread First Novel Award, and the Commonwealth Writers Prize. Over the years she has been a tenured professor at New York University, Harvard University and the Institute of Contemporary Arts. She is married to the writer Nick Laird (they met while both studying at Cambridge and returned to be married at the King's College Chapel). They have two children.